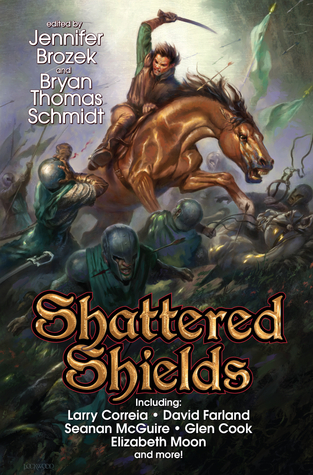 Shattered Shields edited by Brozek and Schmidt is an anthology focused on military fantasy, specifically heroic struggles and epic combat. Here seventeen short stories and novellas explore the vast expanse of military fantasy in all its varied forms from adventures in hither unexplored worlds to new tales from established worlds such as David Farland’s Runelords, Elizabeth Moon’s Paksenarrion, and Glen Cook’s Black Company. But no matter the setting, what each tale does superbly is capture that fantasy feeling of swords clashing, arrows flying, warriors screaming, and magic flashing in the most varied of any genre: military fantasy! With all that being said, I’d like to focus on a few stories that really grabbed my attention. First, “Ashes and Starlight” by David Farland was a story that began slowly, took a bit of concentration to understand the dynamics of the situation and the characters, but then moved along quickly to a furious conclusion. And while the action and adventure was enjoyable, what this tale did best was introduce me to the Runelord universe; a place that, without a doubt, I’ll be visiting again in the near future. “The Fixed Stars” by Seanan McGuire impressed in its ability to walk the fine line between fantastical and mysterious. This October Daye story was filled with magical beings, god-like creatures, a war between the gods and their children, and the boundless hope that through destruction the future could be saved. It was intricate, elegant, and enveloping in its fairy tale construction but endowed with enough visceral combat to keep any military fan happy. Great story. “The Smaller We Are” penned by John Helfers focused on the remnants of fairy fighting a losing battle with the hordes of humanity. And while the combat comes at you furiously and frequently, it is the philosophical undertones dealing with humanities desire to rule over or destroy everything we see that raises this one above the rest. “Rising Above” is an effort by Sarah A. Hoyt which mesmerizes in its alternative history setting and fantastical creatures, similar to Naomi Novik’s Temeraire series. “A Cup of Wisdom” by Joseph Zieja was a fantasy filled with philosophical lessons, as a young boy going into his first battle learns not only about himself but also about those he faces. “Words of Power” is an alternative fantasy future dreamed up by Wendy N. Wagner where world war has erupted and magic has turned warfare into one of magical constructs striving against one another. And it is the role of our guide Kadar to help repair and return these behemoths of magical might to the front lines to hold off the enemy. In “Deadfall” Nancy Fulda introduces a reader to a land tormented by screaming savages brought to the land upon their sky-rafts and pushed around the globe as they live upon the floating islands of the sky. Oh, and magic rains from that same sky. John R. Fultz carefully crafts the tale of “Yael of the Strings”, and how some bad luck on his part led him down the path to immortality. “First Blood” allows lovers of Elizabeth Moon’s Paksenarrion to return to that world, following along behind a young squire who finds himself riding toward his first battle. And my personal favorite was “Bone Candy” by Glen Cook. This novella is set in the Black Company universe between The Black Company and Shadows Linger, taking a brief look at the continued adventures of my favorite mercenary company as they help Lady retake her empire from the vanquished rebel forces and somehow keep from getting too embroiled in the constant backbiting and political machinations of the Taken. It was a story I’d longed to read ever since becoming a fanboy of the series way back in the 1980s, and I can only hope it might be a sample of things to come with this untold history of the Black Company. Overall, Shattered Shields was exactly what I envisioned it being: a book filled with military fantasy fun. Sure, I did not love every story as much as I did my fix of the Black Company, but there were a number of tales that really surprised and enthralled me. So definitely give this one a try, because I’m sure there is something in this book that you will fall in love with. 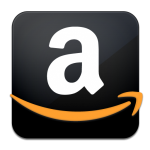 Buy Shattered Shields (BAEN) at Amazon. This entry was posted in 3 Stars, Anthology, Fantasy, Short Stories and tagged best military fantasy anthology, best military fantasy stories, Bryan Thomas Schmidt, David Farland, ELIZABETH MOON, Glen Cook, Jennifer Brozek, military fantasy, Paksenarrion, Runelords, Shattered Shields, The Black Company. Bookmark the permalink.